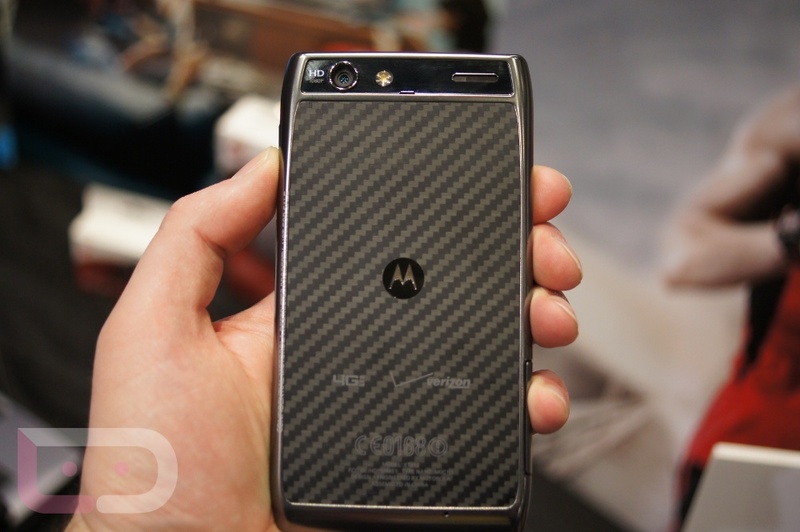 After taking a tour of the DROID 4 while stopping by the Motorola booth here at CES today, we had to get our hands-on time with their newest creation, the DROID RAZR MAXX. You won’t see too many differences between the MAXX and the previous DROID RAZR, but you will see a decent change in thickness of the device and battery life. The MAXX contains a huge 3300 mAh battery which is capable of 21 hours of talk time and two days of music streaming. The video action is down below – you can see our quick photo gallery from last night right here.